Digestion Problems such as gas, bloating, stomach pain, constipation, heartburn, and fatigue after eating. While the intelligent ones stick to a good diet rather than binging on junk like many of us. * An easy thing to do is to eat a 1-inch piece of fresh ginger with a few drops of lemon juice with a pinch of salt just before a full meal. This simple tip will help start to activate your salivary glands which their by will produce the necessary enzymes. 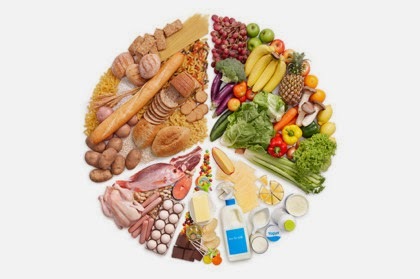 And all this will eventually help you so that the nutrients in the food are easily absorbed by your body. * Another tip for you would be to avoid cold drinks after or during meals. Basically doing so is like putting cold water on the burning logs of your digestion. So even if you are out try and never have the iced cold water, juice or any other cold beverage normally served at restaurants. It cuts down the digestion process. * Only if you still want to have something cold then probably you could have a glass of ‘lassi’. This magic drink not only aids in digestion but it will also satiate your thirst. It tastes great and it will also help reduce bloating and gas in the stomach. Eat six small meals instead of three big ones, this will help you eat a control amount and in a way end up helping in the digestion of food too. And a golden mantra to follow after about 30 minutes of a meal is to increase your physical activity. This will help start the process and control the digestive discomfort. Are you losing your skin colour in spite of lathering on oodles of sunscreen lotion? No matter how much you cover your face, you end up with a shade darker skin at the end of the day. The sun’s wrath is hard to evade especially in this scalding weather. 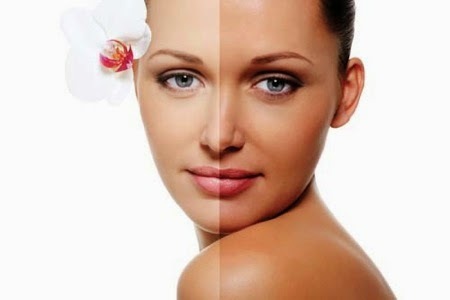 The UV rays of the sun increase the melanin content in the skin which makes the skin a tone darker. These effects can be minimised with the use of simple home remedies. -Get your fair skin back with these simple remedies to de-tan your skin. -Apply a paste of fresh milk cream and saffron on your face overnight. Wash it off in the morning. -Applying some Aloe Vera gel on your face overnight will reduce the discolouration of your skin. Don’t apply Aloe Vera gel while going out in the sun as it will make your skin darker. -Make a paste of papaya pulp and some honey and apply it on your face. It will help de-tan your skin. -Apply a mixture of tomato juice and a little curd on your face. Wash it off after few minutes. -A mixture of potato juice and lemon juice 1 tsp each, applied on your face will help remove the tan. A blind female beggar who died here suddenly has left behind SR3 million in cash, jewelry, gold worth SR1 million and four buildings, with no heir to inherit the small fortune. Ahmad Saidi, an assistant to Ayesha, the dead beggar, said she had given him her will, which stipulates that all her money and property should be distributed among the needy. Saidi said he had informed the authorities, but there was no response. To keep his conscience clear, he took a box with the cash, gold and jewelry and emptied it out in the street in Al-Balad for the local residents to collect. “I am tired of this role,” he said. “I gave statements to the police and the court and received a promise that the authorities would do what was needed,” he said. Saidi said Ayesha had begged for 50 years. “I grew up with her in the same neighborhood since I was a young boy,” he said. He said she received most of her money during holidays. Her wealth had increased after her mother and sister died, when she inherited their property. Saidi said that when he discovered she was a millionaire he advised her to give up begging, but she refused to do so. He said she wanted to make more money. At one stage, he helped her sell gold. “I used to sell each one for SR250 15 years ago, now such pounds cost around SR1,000 each,” he said. Saidi said that the families in Ayesha’s four buildings must leave, because the government should take control of the property and then issue a ruling. “Ayesha gave me a will and I won’t give up until the authorities take over the homes,” he said. In response, one resident said he would not leave because Ayesha had wanted him to stay there without paying any rent. Al-Balad Mayor Talaat Ghaith said the case, with all the documents, was now with the authorities. He denied that he had received money from Saidi. “The old lady hosted these families and it’s not my role or right to evict them,” Ghaith said. People in the neighborhood sympathize with the people living in the buildings because they are poor and often beg to make money. Gul Panag is an Indian actress and producer voice actress, model, and former beauty queen who competed in the Miss Universe pageant. Her notable films include Dor, Dhoop, Manorama Six Feet Under, Hello, and Straight. Panag started her education in Sangrur, in Punjab. Her father was in the army and the family moved to different places across India and abroad. As a result of this, she studied in 14 different schools including Kendriya Vidyalayas (Chandigarh, Mhow, Leh and Wellington, Tamil Nadu), The Lawrence School, Lovedale and the International School of Lusaka, Zambia. She did her Bachelors in Mathematics from Punjabi University, Patiala, and Masters in Political Science from Panjab University, Chandigarh. As a student, Panag was interested in sports and public speaking. She won numerous state and national level debate competitions, including two gold medals at the Annual National Inter University Debate competition. Panag won the Miss India title in 1999, and was crowned Miss Beautiful Smile at the same pageant. She participated in the Miss Universe 1999 pageant. Panag began her career in Bollywood, with the 2003 film Dhoop. Since then, she has worked in films like Jurm and the TV series Kashmeer. She played a commoner, fighting hard to save her husband from going to the gallows, in the 2006 Nagesh Kukunoor film, Dor. In 2008, she acted in the films Hello and Summer 2007. In 2009, she appeared in the movie Straight. She featured in Rann in a role attempting to stop her boy friend from doing the right thing. Panag appeared on the front page of Maxim with whom she did a photo shoot in September 2008. She debuted in Punjabi movies with Sarsa. She has appeared in numerous advertisements on television and print media and is the brand ambassador for Tata Sky, along with Aamir Khan. Panag was the Twitter Face for the Wills Lifestyle India Fashion Week held in 2009, to cover the happenings/proceedings on the micro-blogging site. Panag got married to her long-time boyfriend Rishi Attari on March 13, 2011 in a gurudwara in Chandigarh in a traditional Punjabi Sikh ceremony. Since Panag is a lover of motorbikes, her marriage procession consisted of riders on over 20 motorcycles. Some of the bike riders were women. Bride Rishi arrived on a motorcycle, with Gul sitting in the sidecar. She ran at the Delhi Half Marathon in November 2010, but endured eve teasing (sexual harassment) from male runners at the event. She later remarked that the attitude of men in Delhi needed to change and that the city was unsafe for women. Zee Cine Critics Award - Best Actress, tied with Ayesha Takia for Dor (2007). Mandira Bedi made her Lakmé Fashion Week Summer/Resort 2014 debut Thursday and showcased a sari collection titled "Real Women". She also surprised the audience when she presented her mother Geeta Bedi as her showstopper. Dressed in a blue sari with golden border, Geeta looked elegant when she hit the ramp. When asked to say a few words, Mandira's mother said: "I am not much of a speaker, all I want to say is that I am proud to be her showstopper." 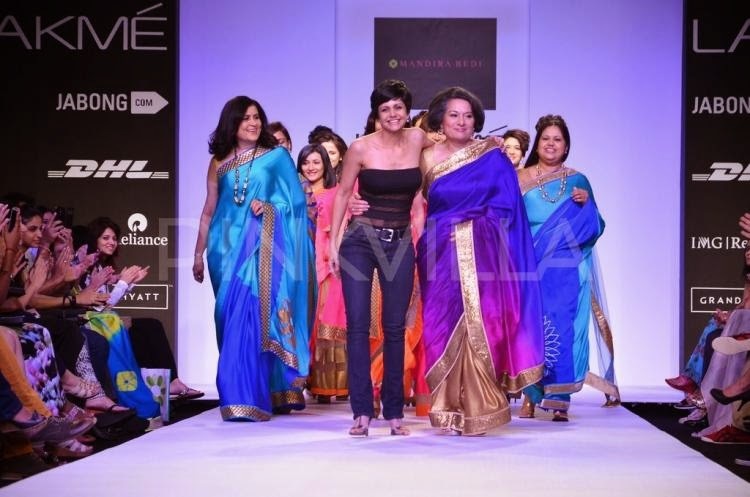 The runway was flush with Mandira's summer saris in shades like blue, pink and green among others with golden border. There were a few printed saris too. As she had said earlier, her collection was high on effects and low on embellishments. "I am feeling extremely emotional. The concept of my show is real women. This is my first show, my mother is my showstopper and it's a very emotional moment for me," Mandira, last seen in hit TV show "24", told reporters post the show. "Not just my mother, even the other ladies, who walked for me, I am grateful to them because they came here just for me," added the actress who invited successful women from various walks of life to walk the ramp, including a lawyer, nutritionist and fitness trainer among others. Mandira ventured into fashion designing last year and even opened a signature store here.Talking about her collection, she said: "I have used all summer colours for my saris and as far as the fabric is concerned it includes silk, satin and georgette." The on going fashion event, which started Wednesday, will continue till Sunday. Kalki Koechlin's Monologue On "The Truths of Womanhood"
At the 13th India Today Conclave on International Women's Day, Kalki Koechlin's heart-warming monologue on women got a raring response from the audience. Kalki's monologue that focussed on equality for women became so popular that its video was even trending on YouTube for days after the International Women's Day as well. Kalki began her performance with a "little nursery rhyme" about "God made man" and went on to comment on the patriarchal society and what women have gone through over the centuries. Her one jibe that got a lot of laughs was "Remember Draupadi and her five husbands. That can't be fun. God knows, infact everybody knows that I have enough troubles with just one". Kalki puts best use of her theatre skills on the stage at the event, but makes sure we sit up and take notice of what she is saying. With a very hard hitting and powerful performace, Kalki sends the message across about "The Truths of Womanhood" that women have been trying to address over the years. The Bollywood actor impresses the audience at the India Today Conclave with her solo performance, her spellbinding expressions and poetic dialogues. 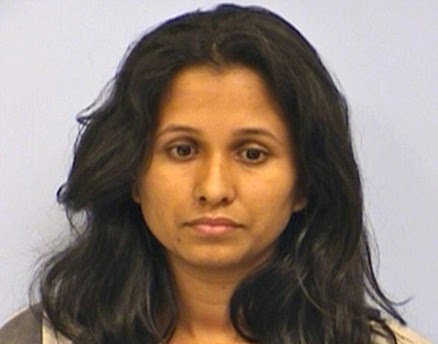 A 27-year-old Indian-origin woman in the US state of Texas has been found guilty of causing arson that killed her husband two years ago. Shriya Bimal Patel was convicted on Monday of dousing her husband Biman Patel in gasoline and setting him on fire in 2012. Bimal, 29, died at the burn centre of the San Antonio Military Medical Center, nearly five months after the April 17 incident. She faces five to 99 years in prison. In closing arguments on Monday, the state asked jurors to recommend a life sentence for Shriya, who witnesses have said intentionally ignited an explosion that killed Bimal. Defence lawyers, however, sought probation for her. They said Shriya would be deported to India should she receive community supervision. Testimonies ended on Friday when defence attorneys called their only witness, an associate professor of Indian culture from the University of Texas. Her lawyers have argued that her husband killed himself and forced her to help. Prosecutors said Shriya, who had studied in London and lived in Dubai was used to an upper-class lifestyle, was upset because Bimal did not lived up to her expectations. They said she was disappointed that Bimal had been laid off from a telemarketing job and was struggling to pay his rent. Bimal and Shriya had met via an arranged marriage service in India. Arson investigators testified that burn patterns on Bimal's body showed he was lying in the tub when Shriya used a cup to throw the gasoline on him. Jessica Cox is the world's first licensed armless pilot, as well as the first armless black-belt in the American Taekwondo Association. 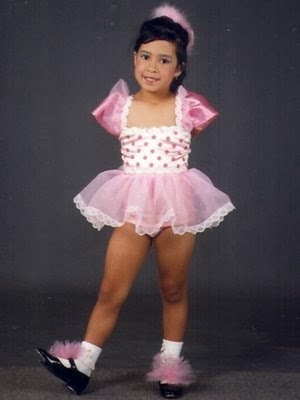 She was born without arms due to a rare birth defect. (she now has two black belts in Taekwondo). She was born without arms due to a rare birth defect. She earned her pilot's license on October 10, 2008, after three years of training, and is qualified to fly a light-sport aircraft to altitudes of 10,000 feet; Jessica Cox flew in a single engine airplane for the first time via Wright Flight. She received her flight training through an Able Flight scholarship and soloed under the instruction of Parrish Traweek. Jessica Cox has not used prosthetic arms since she turned 14. Using her feet as most people use their hands, she is able, among other things, to drive a car (she has an unrestricted license and drives a car without modifications), to type on a keyboard (25 words per minute), to pump her own gas, and to put in and remove her contact lenses. She is also a certified SCUBA diver. Cox holds a Bachelor's degree in psychology from the University of Arizona and works as a motivational speaker and has shared her message in 18 different countries. Born without arms, Jessica Cox, the first person with no arms to be granted a light sport pilot certificate by the FAA, met with AVweb at AirVenture Oshkosh 2009. Be prepared to never complain about anything ever again. 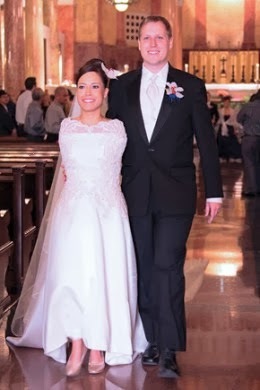 Jessica Cox with husband Patrick Chamberlain May 12, 2012, she married a 4thdegree taekwondo black belt and instructor Patrick Chamberlain, after 2 years of dating and 1 year engagement. Garlic Good For Reducing Cholesterol? Infamous for its distinctive odour and pungent taste, did you know that garlic is termed as the “stinking rose”? A close relative to onion, garlic is a central Asian plant which is mostly popular for its role as a common flavouring as we use garlic to add taste to different food items. However, not many of us know that use of garlic as a(n) herbal aid for health is even older than its use as a versatile flavouring agent! If we wind our clocks a little back in time, we would be amazed to find out that the use of garlic for both culinary and medicinal purposes dates at least as far back as when the Pyramids of Giza were built! Garlic has been documented and used as a significant herbal medicine for treating various diseases ranging from deafness, leprosy, loss of apetitie, oedema(abnormal accumulation of fluid in the body) for thousands of years. So what is it about garlic that makes it such an important health aid? Garlic contains a sulphur containing compound called Allicin which is known for its bacteria and fungi killing properties and to alleviate digestive disorders. However, through this article we would focus on role of garlic in treating cholesterol problems. 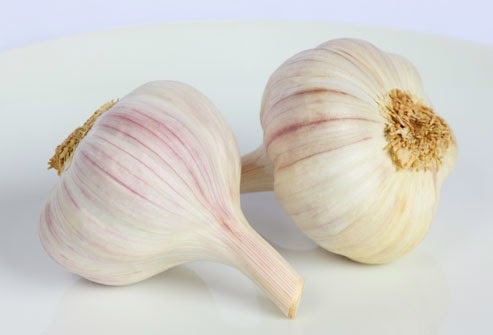 Conflicting Theories While garlic is indeed an excellent herbal aid to treat various health conditions, its use for cholesterol reduction has been a subject of debate till today. So does garlic really help in cholesterol reduction? The answer would be both yes and no. Certain studies have shown that garlic can help lower bad cholesterol very modestly and in case of good cholesterol, it is not really helpful. Some studies have also shown that use of garlic for cholesterol reduction is dose dependent. i.e. the more garlic you administer, the more cholesterol will you reduce. In fact some researchers have also stated that garlic can reduce cholesterol but only on temporary basis. So it is important to know that use of garlic for cholesterol reduction has produced conflicting theories and hence, it is best not to ‘solely’ rely on use of garlic for lowering cholesterol. However, there are certain ways in which you can find out if use of garlic for cholesterol reduction is beneficial for you or not. Let’s see what those ways are. Eat Garlic If we focus on use of garlic for cholesterol reduction, we can try garnering that benefit by adding garlic to our diet. In its raw form, garlic is more medicinally powerful than in its cooked form. So try taking it in its raw form. However, besides its raw natural bulb form, garlic is available in several forms such as tablets, capsules, powder, oil and extract. Discuss With Your Doctor Since studies on use of garlic for lowering cholesterol have been inconsistent, it is best that you discuss with your doctor to find out that how much garlic (or if at all) should be enough to reduce your cholesterol level. These are the two ways that show if use of garlic for cholesterol reduction can be helpful. However, it is important to understand that garlic administered in whatever form is just one way to keep your cholesterol levels reduced. So, instead of solely relying on garlic, you should maintain a healthy, balanced diet and perform appropriate exercises daily. Middle-aged people who eat protein-rich food are four times more likely to die of cancer than someone who only eats a little, according to a new study. 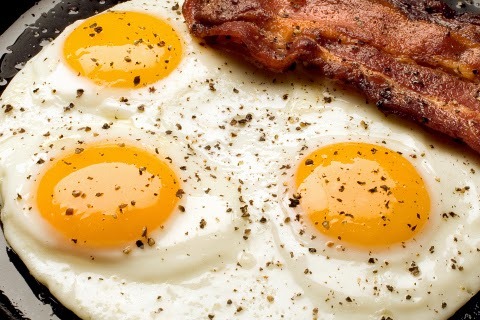 The researchers said eating a lot of protein increased the risk of cancer almost as much as smoking 20 cigarettes a day. They reached their findings, published in the journal Cell: Metabolism, after tracking thousands of people over 20 years. "We provide convincing evidence that a high-protein diet — particularly if the proteins are derived from animals — is nearly as bad as smoking for your health," one of the academics behind the work, Dr Valter Longo, of the University of Southern California, told Daily Telegraph. A high-protein diet was defined as one in which 20 per cent of the calories came from protein. They recommended eating 0.8g of protein per kilogram of body weight a day during middle age. However, the researchers said protein had benefits during later life. Dr Eileen Crimmins, a co-author of the study, said: "We also propose that at older ages, it may be important to avoid a low-protein diet to allow the maintenance of healthy weight and protection from frailty." However Dr Gunter Kuhnle, a food nutrition scientist at the University of Reading, criticized the study for making a link to smoking. "While this study raises some interesting perspectives on links between protein intake and mortality ... It is wrong, and potentially even dangerous, to compare the effects of smoking with the effect of meat and cheese," he said. "The smoker thinks: 'Why bother quitting smoking if my cheese and ham sandwich is just as bad for me?'" And Professor Tim Key, of Cancer Research UK, said: "Further research is needed to establish whether there is any link between eating a high protein diet and an increased risk of middle aged people dying from cancer." Comparing West Bengal chief minister Mamata Banerjee to former Delhi chief minister Arvind Kejriwal, anti-corruption crusader Anna Hazare on Wednesday said that Mamata had made more sacrifices and lived a simpler life than Kejriwal. "Mamata lives in a simple flat even when she is CM, while Kejriwal opted for a bungalow after becoming CM. Even in their personal life Mamata lives more simpler life than Kejriwal," Anna said. "I support Mamata as an individual because of her thinking and sacrifices she had made. I do not support her party," said Hazare while clarifying his stand. He said Mamata's economic policies and planning centred around villages, while the policies of main parties like Congress and BJP are centred around big companies, which he believes is responsible for economic problem of the country. Criticizing Kejriwal for deciding to fight the general elections and quitting the post of Delhi CM, Hazare said Kejriwal is in haste. "Anything made in haste cannot last long," said Hazare adding that Kejriwal should have first showcased a model of governance in Delhi and then announce his participation for the 2019 general elections. "How wise it is for a CM to sit on protest on road and cause inconvenience to its own people," questioned Hazare. On the candidature of Congress vice-president Rahul Gandhi for PM post, Hazare said, "He (Rahul Gandhi) needs little more experience. Right now he is not mature enough." 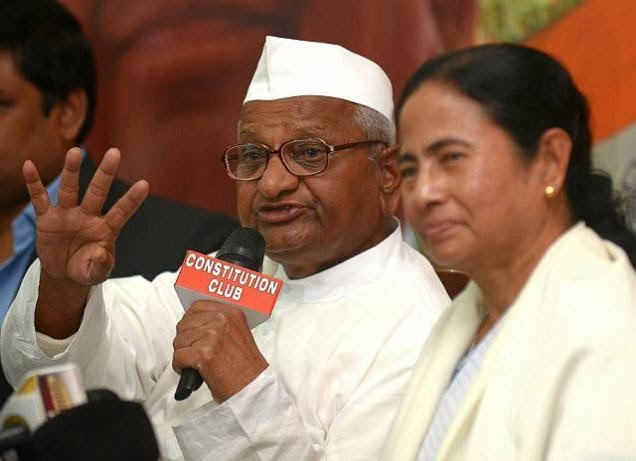 However, Hazare believes that neither Rahul nor Narendra Modi would become a good PM because their economic polices are similar and in favour of big corporations. Preity Zinta Rejects Election Buzz! Finally,Bollywood actress Preity Zinta has denied news reports that she may contest Lok Sabha elections against Congress MP Priya Dutt on a Bharatiya Janata Party (BJP) ticket. There has been a buzz that actress, Preity Zinta has been given a BJP ticket by BJP General Secretary, Rajiv Pratap Rudy to fight the upcoming elections against Munna Bhai's sister, Priya Dutt from North-Central Mumbai constituency. However, Preity cleared all clouds regarding the rumour of her joining politics. When asked about the issue by a follower on Twitter, Preity responded, "Where did you read this? Please tear that paper because it's 100 percent UNTRUE." It was reported that Rudy who also supposedly is a distant relative of Preity Zinta wanted to put a celebrity face against the Congress MP. Preity Zinta has been supposedly running through a tough phase with flop shows in both Bollywood movies as well as IPL and in such situations, rumours about celebrities even double up. Actresses Madhuri Dixit and Juhi Chawla's film ‘Gulaab Gang’ has run into trouble just days before its release. The Delhi High Court has ruled that the movie not be released anywhere in India in its censored or uncensored for till March 8. The goodness of milk lies in the very word. To begin with, the calcium and magnesium in milk help lower blood pressure. Milk also contains tryptophan, an amino acid that gets converted into serotonin, which in turns improve your mood and keeps you calm. A glassful before bed is bliss. 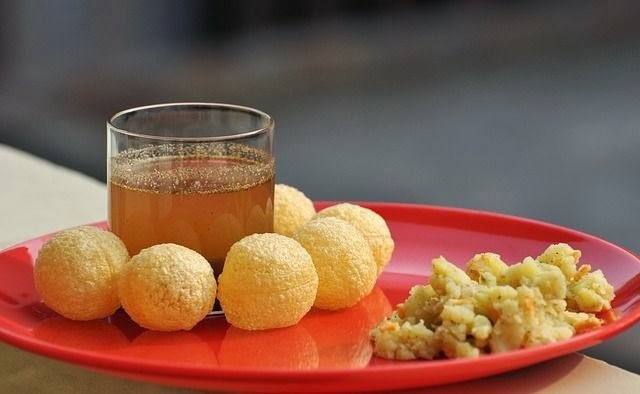 Choose this over your regular ‘doodhwali chai’, anyday. Studies show that drinking black tea for six weeks can help lower your post-stress cortisol levels. For better results, choose decaf. This is a no-brainer! Water releases endorphins that improve your mood and sense of well-being. Chug as much as possible throughout the day for a goodnight’s sleep. Cherry juice helps you stay calm and manage stress. An ounce of cherry juice twice a day can actually help improve the quality as well as duration of your sleep. No they don’t taste as bad as you think they might! Greens such as spinach, celery, and kale pack in the calcium and magnesium that helps reduce blood pressure. Also, they are a powerhouse of vitamin C that helps control your body’s response to stress. This one is a medicinal herb, which is often found in tea blends. Known to reduce nervousness, anxiety, and insomnia, valerian is your perfect bedtime drink. When it comes to relaxing your nerves, nothing is better than tea. Chamomile has glycine, another amino acid that has relaxing qualities. 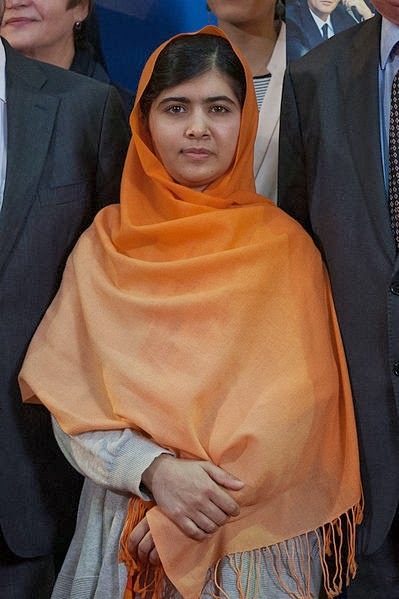 On 12 July 2013, Yousafzai's 16th birthday, she spoke at the UN to call for worldwide access to education. 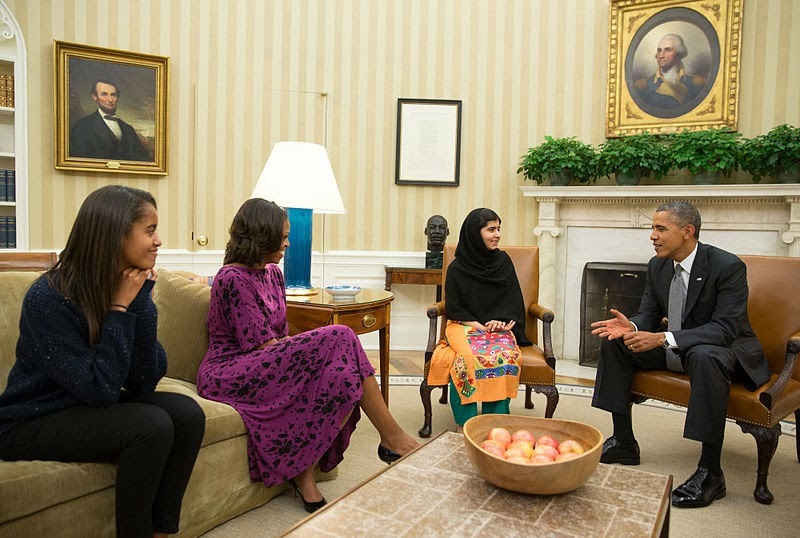 The UN dubbed the event "Malala Day". It was her first public speech since the attack, leading the first ever Youth Takeover of the UN, with an audience of over 500 young education advocates from around the world. "The terrorists thought they would change my aims and stop my ambitions, but nothing changed in my life except this: weakness, fear and hopelessness died. Strength, power and courage was born ... I am not against anyone, neither am I here to speak in terms of personal revenge against the Taliban or any other terrorist group. I'm here to speak up for the right of education for every child. I want education for the sons and daughters of the Taliban and all terrorists and extremists." "Malala day is not my day. Today is the day of every woman, every boy and every girl who have raised their voice for their rights." The Pakistani government did not comment on Yousafzai's UN appearance, amid a backlash against her in Pakistan's press and social media. Malala Yousafzai; Christina Lamb (8 October 2013). I am Malala: The Story of the Girl Who Stood Up for Education and was Shot by the Taliban. Orion. ISBN 978-0-297-87093-7. — Autobiography published October 2013. The All Pakistan Private Schools Federation announced that the book would be banned in its 152,000 member institutions, stating that the book disrespected Islam and could have a "negative" influence. Mumbai Police have arrested Chandraban Sanap alias Ekka for the murder of software engineer Esther Anuhya. Sanap, a history sheeter was nabbed, after cops identified him through CCTV footage at LTT station. 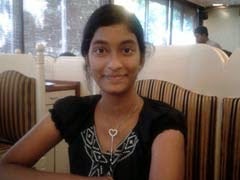 The Mumbai Crime branch on Monday arrested Chandraban Sanap alias Ekka for the murder of software engineer Esther Anuhya. To elude the cops Sanap had grown moustache and a beard. After the murder of Esther, who went missing from Lokmanya Tilak Terminus and her body found near a service road at Bhandup, both GRP and the Mumbai Crime branch had started picking up record criminals. Later the police had received the CCTV footage from the waiting room where the victim was seen walking with a person and started searching him. As Sanap matched the CCTV footage, he was picked by the GRP and handed over to the Crime Branch which is investigating the case. Sanap was picked from Tirupati where he had gone from his native place Nashik. Sanap, who is a history sheeter and has cases of bag lifting and snatching against him, stays in Kanjurmarg in Mumbai. Police has also picked one of his friends from Jharkhand, who knew about the murder but decided to stay quiet. Oscar Nominated Actress Cate Blanchett is Nervous? Cate Blanchett has "butterflies" in her stomach on the day of the Oscars. The actress is up for her sixth Academy Award this year, after being nominated for Best Actress for her role in Blue Jasmine, and she acknowledges she will be particularly nervous on the day. Cate - who previously won Best Supporting Actress for her role in 2004's 'The Aviator' - said: "A lot of effort goes into effortlessness of walking up that marathon red carpet. I wake up with butterflies in my stomach. You never know the outcome. It has been an extraordinary year in films, so to be at the banquet is a privilege." 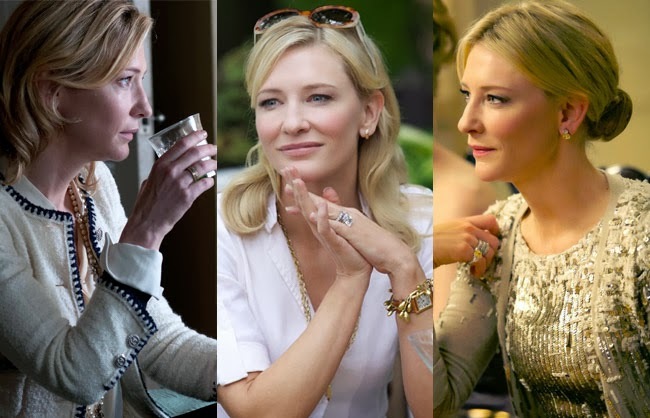 Cate, 44, also admits if she was like her character in 'Blue Jasmine' - who loses her fortune and has to adapt to a normal life - she wouldn't have the same difficulties as those around her keep her grounded. She told OK! magazine: "Fortunately I have the most extraordinarily supportive family and friends, and my identity is not based on either my work or any of this." A huge dilemma most vegetarians face while gaining muscle mass is: am I getting enough proteins? After all, most of us have been prescribed the renowned high-protein-low-carb diet to get ripped. But cast aside your aspersions; there are tons of proteins to be found in vegetarian sources too. Whole grains are a great source of protein but you’ve hit jackpot in quinoa. 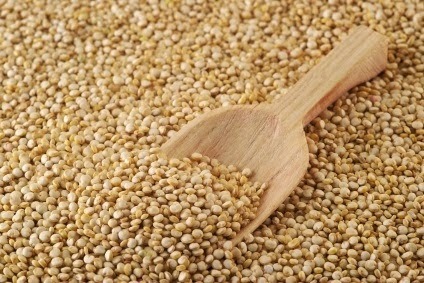 Unlike many other sources of vegetarian protein, quinoa comprises of all essentials that make it a ‘complete protein’. Just one cup of cooked quinoa provides you with about 18 grams of protein. Whole grains, including whole grain bread, brown rice, and barley are some of the ideal protein-rich options for vegetarians. 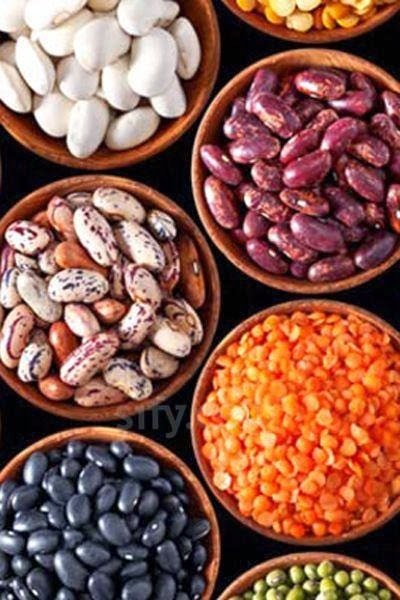 Black beans, kidney beans, dal or hummus—pick whichever you fancy and watch the protein grams add up. Soy is one protein every health freak swears by! It’s a flavour chameleon and you can get soy in the form of soy milk, tofu, edamame, soy ice cream, yoghurt, nuts, soy cheese and more. 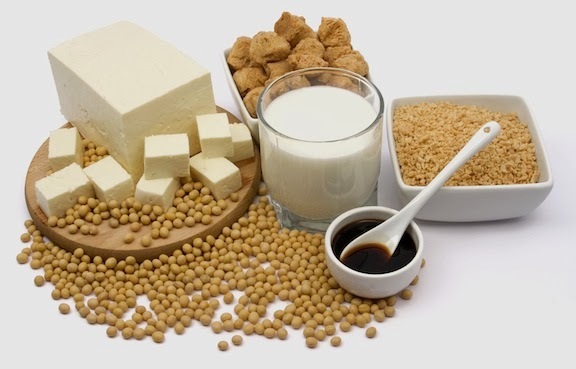 Many brands of tofu and soy milk are also additionally fortified with essential nutrients, making them absolute must-haves for your protein intake. 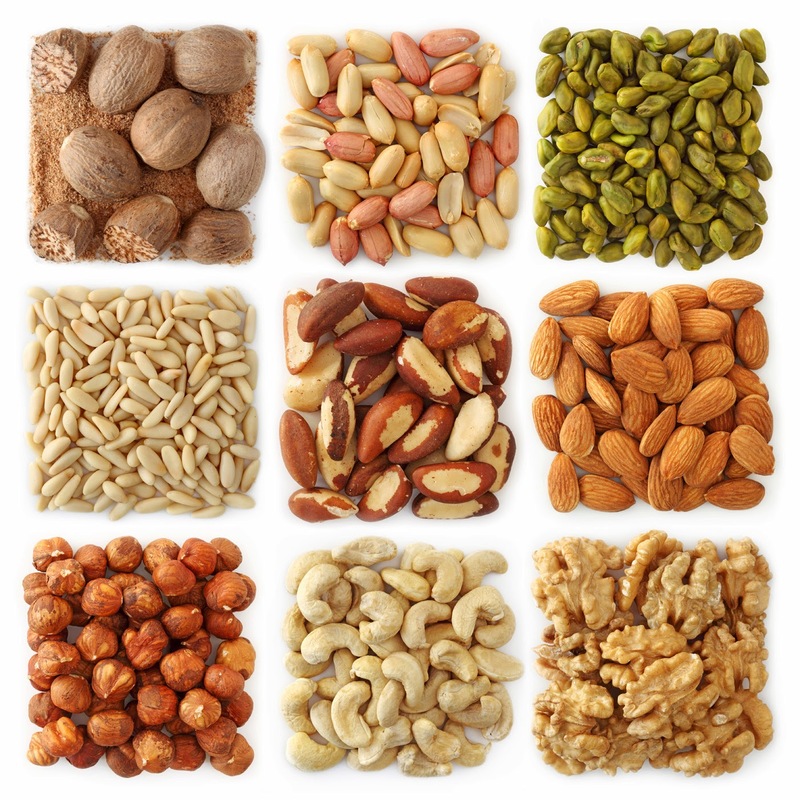 All nuts, including peanuts, cashews, almonds and walnuts are protein-rich. However, because they’re also high in fat, do not make them your primary source of protein. But they make for a great post-workout meal or an occasional snack. Trying to build some serious muscle? Then your protein requirement will be marginally higher than that of an average person. That’s where whey protein comes into picture. Consult your dietician before making a purchase and opt for a powder which also contains casein, another dairy-based builder.